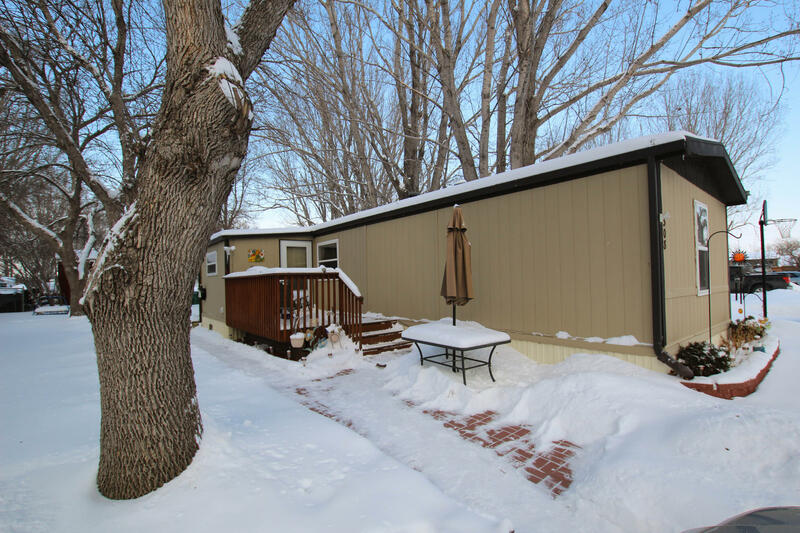 Great 3 bedroom mobile home located on a cul-de-sac in Tatley Meadows! The windows have been replaced, updated flooring, updated light fixtures, updated plumbing fixtures and deck was replaced in 2018. There is a great open floor plan between the kitchen, dining and living room. There is a handy attached 8.5 x 10.5 entry way with plenty of room for all your snow gear. The yard is sizable, has beautiful flowers in the spring/summer, and a pergola on the back deck to enjoy the summer weather. You will also find a shed and a double parking pad on this great property!